We may be socked in along the coast, but it will feel much more like summer come Thursday night when the first Twilight Concert of the season shows at the Santa Monica Pier. Prince protege Morris Day & The Time performs first with upbeat '80s funk along with another L.A. artist Dam Funk. 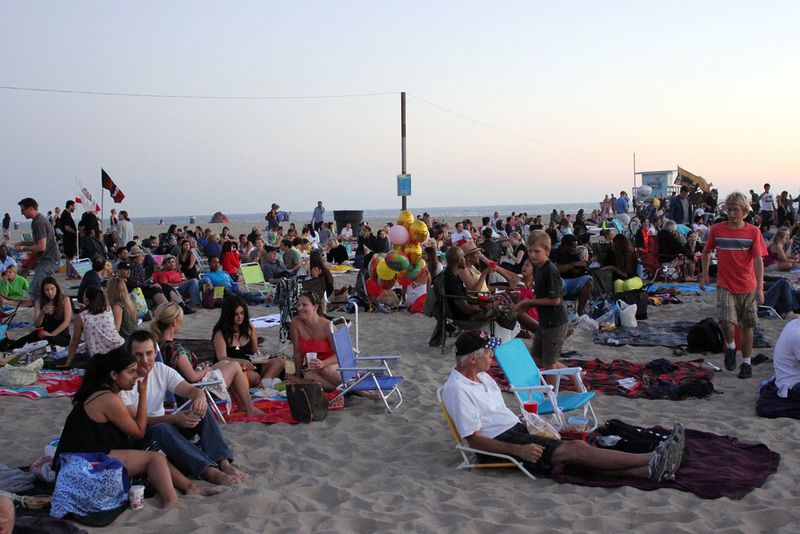 To set the party in motion, KCRW's DJ Aaron Byrd will be on the decks as everyone settles into their spot in the sand. There's plenty of room once you're there, but traffic congestion and parking will pose the biggest challenge to your optimal level of fun and relaxation, so if you're planning to drive, consider another option: Uber, pedicab, bike, skate, parasail, etc. There's a board and bike valet too, or you could also pay to reserve a parking space ahead of time in a designated structure. Food and drink options are plenty on the pier, but many concert-goers prefer to BYO refreshments. If you'd like to pull together a tasty picnic basket, check out our guide on the best gourmet and specialty food shops on the Westside. Concerts are free and for all ages! Show starts at 7 p.m. See who's up next week and check out the full summer lineup here. Get pumped to see Morris Day & The Time with this mash-up of Morris Day & HAIM, featured on Jimmy Kimmel.